There is no doubt the prevalence of obesity has increased significantly across all age groups, creating greater health risks. 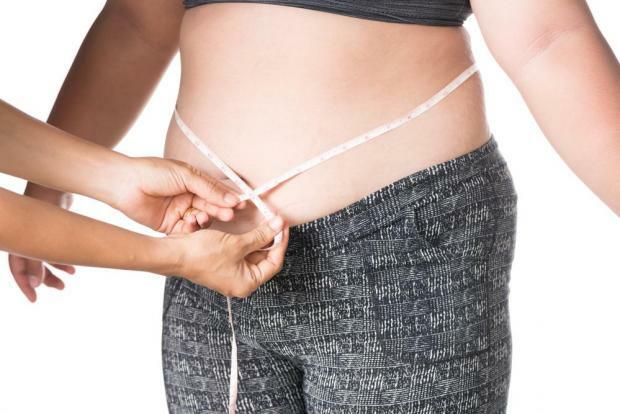 What exactly constitutes obesity, however, is subject to debate, especially for postmenopausal women who have a different body composition than younger women. A study published online today in Menopause, the journal of The North American Menopause Society (NAMS), demonstrates that the long-accepted BMI definition for obesity may no longer be accurate. Body mass index (BMI) is the most widely used indicator of obesity. Despite its common usage, there is growing concern in the medical community that BMI is not a valid measure of obesity in older adults because it doesn’t account for the location of body tissue used for the storage of fat, differentiate between fat mass and lean mass, or account for variation in body composition. This creates challenges for healthcare providers who must assess obesity-related health risks in their patients. The challenge is magnified when treating older women because of the significant physical changes that occur during the postmenopausal period, including changes in body weight, redistribution of fat tissue, decrease in skeletal muscle mass, and loss of height. The location of fat affects a person’s health, even though BMI does not take into account whether a woman has a pear-shaped body with more subcutaneous fat in the hips and thighs or an apple-shaped body consisting of a larger midsection. Use of BMI in a postmenopausal population where the location of stored fat is changing may result in the misclassification of obesity status and an inaccurate representation of obesity-related risks. There are, however, direct measures of adiposity (fat storage), such as dual-energy x-ray absorptiometry (DXA) scans, that provide a much more accurate measurement of body fat, but these require access to expensive specialized equipment and skilled technicians. Findings from the study are published in the article, “Is BMI a valid measure of obesity in postmenopausal women?” Data was gathered from the more than 1,300 postmenopausal women participating in the Buffalo OsteoPerio Study. Researchers calculated sensitivity, specificity, positive predictive value, and negative predictive value to evaluate the validity of BMI-defined obesity relative to body fat percentage. Findings indicate that the use of BMI can lead to bias in measuring the effects of obesity on health outcomes in postmenopausal women. Because women are now expected to spend more than a third of their lives beyond the menopause transition, these findings on the shortcomings of using BMI to define obesity could have serious implications for healthcare providers with an aging patient population.